Central Florida schoolchildren with special needs — including those with autism or need extra help with math — will get some additional help thanks to more than $8 million in grants the University of Central Florida is receiving this month. The U.S. Department of Education has awarded the university’s College of Community Innovation and Education five grants that will help address a range of challenges in public schools, from enhancing special-needs education to improving math instruction in at-risk schools. Several schools in downtown Orlando will directly benefit from the grants. Enhancing Quality in Teacher Preparation in Mathematics within Urban Partners, $3 million, principal investigator: Mary Little, professor. Project Bridges: Interdisciplinary Preparation in Special Education, $1.25 million, principal investigator: Mary Little, professor. Mary Little, a professor and the program coordinator in UCF’s Exceptional Student Education, said she is excited to see the impact her team’s research will have on local schools. One of her grants, geared toward math instruction, will directly impact Title I schools in downtown Orlando. 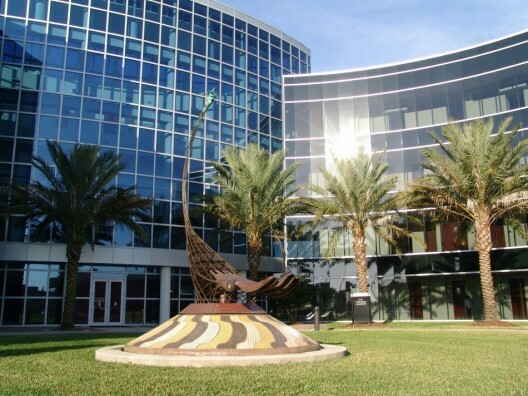 This complements the college’s planned presence downtown, as the college will be an anchor for UCF Downtown. For Dieker, who is the principal investigator on the LEAD NEXT grant, the funding represents an opportunity to have an impact nationwide. The grant will allow UCF to recruit seven doctoral students during the next two years to receive full funding to work in the area of special education with a concentration in working with the new UCF Learning Science Cluster. “Once they graduate they will be prepared to work in higher education or in areas related to special education and they will make a direct impact on numerous teachers and families throughout the United States,” Dieker said. Marino’s project will recruit scholars, including applicants from culturally and linguistically diverse populations and persons with disabilities, to work toward a doctorate in special education. Vasquez is eager to see his project start because it will prepare teachers and speech-language pathologists to receive training in autism-spectrum disorders. “This program will emphasize inclusion of individuals with autism in school and community settings with infused competencies in existing coursework and a new course focusing on evidence-based practices and shared experiences across speech-language pathology and special education,” Vasquez said. How will this affect students in the education program at UCF? Will they be able to apply to use the grants and work with these professors?